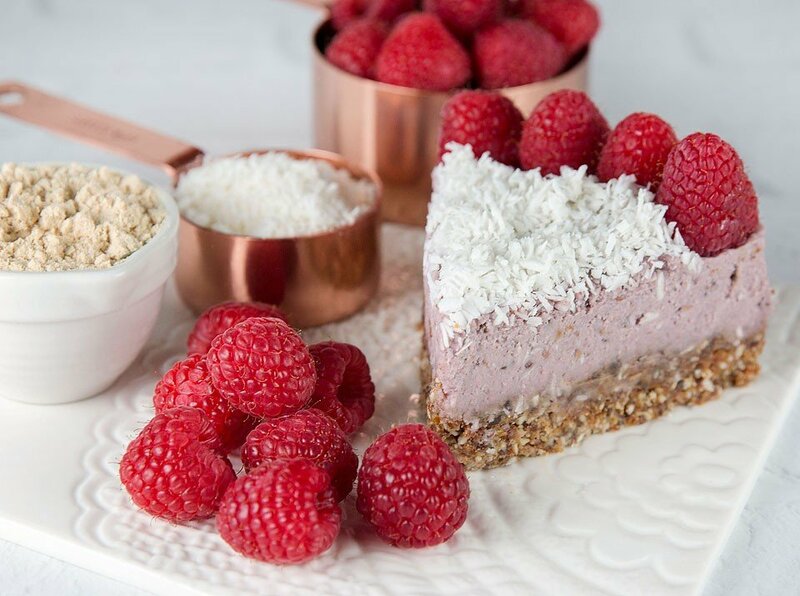 This vegan protein raspberry coconut cheesecake is the perfect “not so guilty” dessert for this summer. 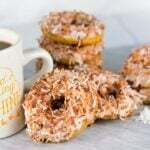 I have been trying to find recipes for sweets that are better for me and my diabetes. This one is great! 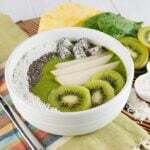 It is creamy, nutty and fruity. The crust is flavourful, too. 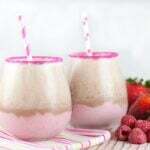 Any berries can be substituted for the raspberries or you can make it mixed berry instead. 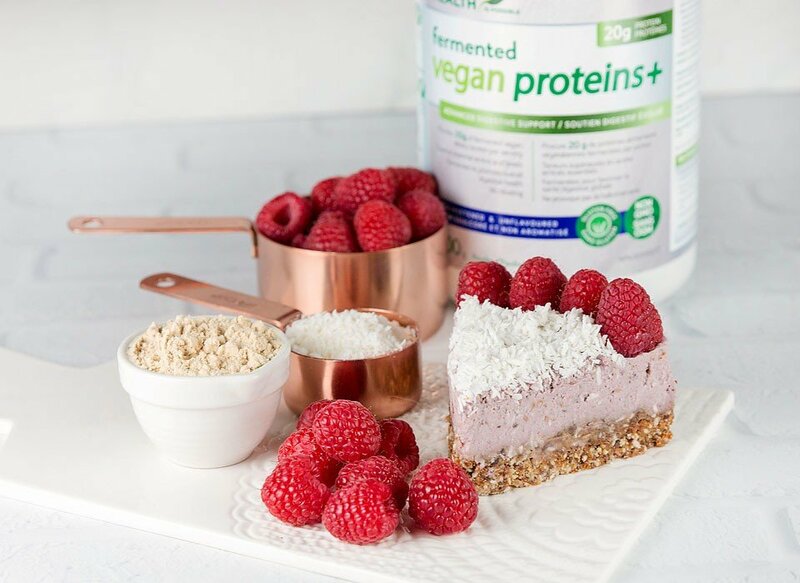 This dessert is made with fermented vegan proteins+ which is a versatile protein and the perfect addition to any smoothie or baked recipe. I love how the smooth texture of this protein easily incorporates into what I am making. Fermented vegan proteins+ is the perfect protein for those of us with a sensitive stomach. This protein tastes fantastic, is easy to digest and it reduces bloating! What’s not to love!?! In addition, fermented vegan proteins+ is soy free, dairy free, gluten free, and non-GMO! Soak the 2 cups of cashews overnight. Drain the cashews and rinse. For the crust, place the dates, walnuts, coconut and cinnamon in a food processor and blend until smooth but crumbly. Press crust mixture into a spring form pan. Place it in the freezer to chill. For the filling, place the soaked cashews, walnuts, coconut oil, vanilla, fermented vegan proteins+, honey, coconut and raspberries in a food processor and blend until smooth. Remove the crust from the freezer and top with the filling. Cover and freeze several hours. 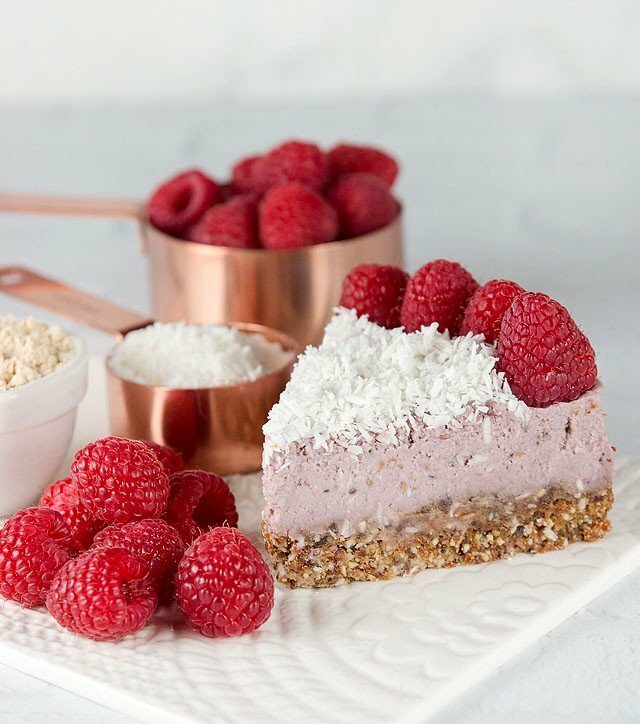 Garnish with fresh berries and coconut before serving. 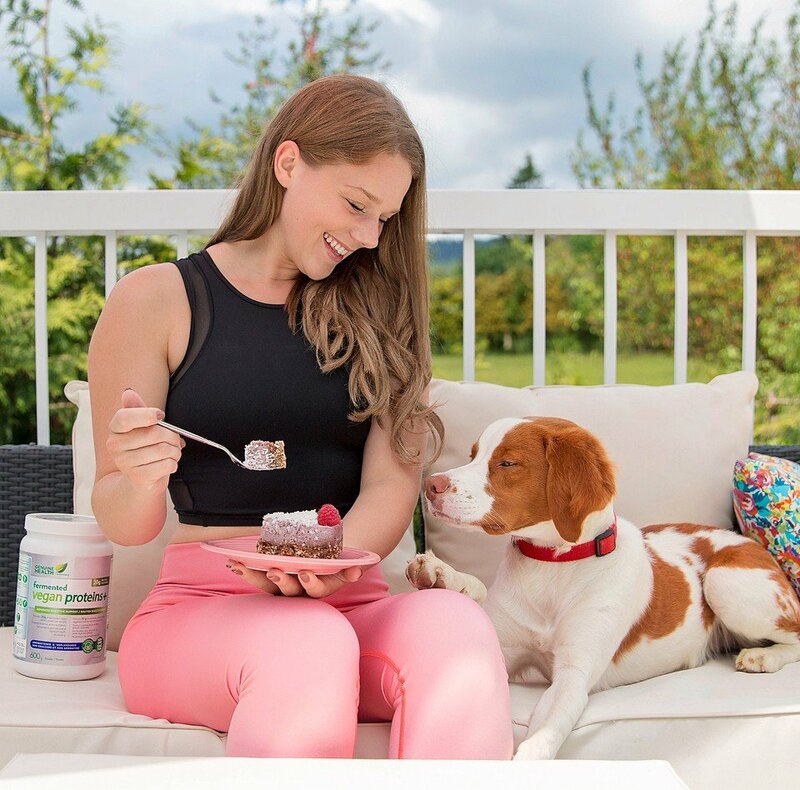 fermented vegan proteins+ is available in coconut, chocolate, unflavoured and vanilla at your local health food, grocery and drug retailers. They also have delicious, portable bars! Visit the Genuine Health website to find a store near you.